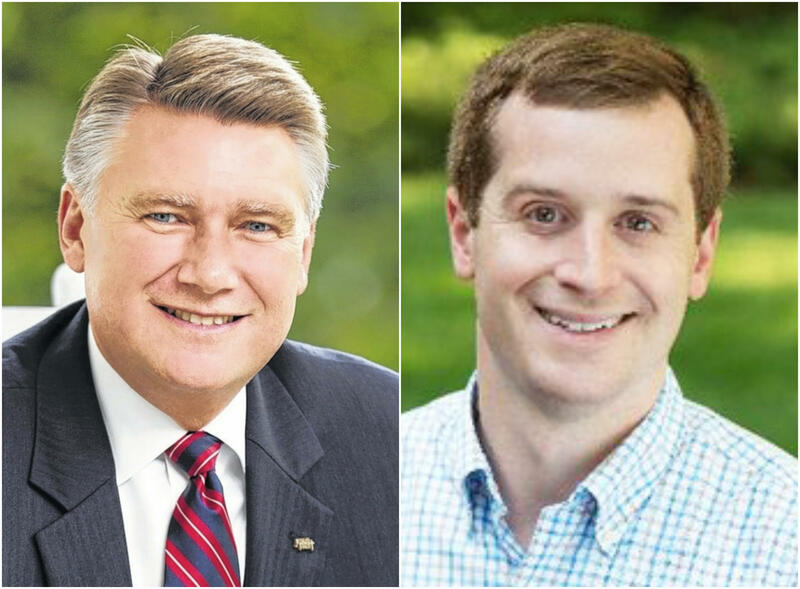 In unofficial results, Republican Mark Harris has 905 votes more than his opponent, Democrat Dan McCready, but explosive allegations of ballot fraud have delayed officials from declaring a winner. Republican Mark Harris, left, leads Democrat Dan McCready by 905 votes in unofficial results. The allegations, first raised by a Democratic member of the state Board of Elections, took most observers by surprise. The board member, Joshua Malcolm, cited ongoing "unfortunate activities" in parts of the 9th district. Local media outlets began investigating and learned the allegations were centered in Bladen and Robeson Counties, where people associated with Harris' campaign were allegedly paid to collect residents' absentee ballots — an illegal activity known as "ballot harvesting" — and deliver them to a political operative named McCrae Dowless. Dowless had previously been investigated in 2016 for paying people to collect absentee ballots in Bladen County, but the charges were never followed up on. This week on FAQ City, WFAE's political reporter Steve Harrison joins us to look back on how we arrived at this unprecedented moment, and take your questions on what might happen next. If this was a known issue since 2016, why did the state board of elections certify the results of the 2018 Republican primary between Mark Harris and Robert Pittenger — where Harris won a stunning 96 percent of absentee-by-mail votes in Bladen County? Should Democrats or North Carolina Gov. Roy Cooper share some blame for the situation? Should they have raised concerns sooner? And finally, we look at some possible scenarios for how things might end up. Could there be a new election? Could the U.S. House get involved? How much longer until we have some kind of conclusion? To stay up-to-date with ongoing coverage of the 9th District, sign up for WFAE's Inside Politics newsletter, written and reported by Steve Harrison. And if you have a question about politics, culture, or anything else in the Charlotte region, let us know! Submit your question in the box below and may investigate on an upcoming episode.